This Instant Pot Chicken Pho makes the traditional Vietnamese chicken noodle soup easy to make at home in around 30 minutes with the help of your pressure cooker. It took a while to convince me to jump on the Instant Pot bandwagon. I thought, I already have a slow cooker, and it’s super easy to cook rice on the stovetop, and I really don’t have room for another kitchen appliance (we don’t even own a microwave for that very reason)… But all of a sudden, it seemed like EVERYONE had one… And I started feeling left out. So – I placed my order on Amazon Prime and waited like an eager 6-year old kid on Christmas morning for it to arrive… Two days later, I had that shiny new gadget in my hands and I went a little crazy – In one day, I made four different recipes in it… And now, I have a new kitchen obsession – The Instant Pot. Like, I seriously sit at work thinking up new ways to use this little pot – Tonight, I’m dreaming of Red Beans & Rice, and tomorrow, for Taco Tuesday, Instant Pot Chicken Tacos, and Wednesday – I might just go crazy and throw a whole chicken in there. Hardboiled eggs: Just add a little water to the pot, place your eggs on the cooking rack (as many as you’d like), and press the “EGG” button – Perfect hardboiled eggs in just about 10 minutes. You can even adjust the cooking time to make them as hardboiled or soft-boiled as you’d like. Meat: You can cook from frozen or fresh and amazingly it’s the most moist, tender meat – So yummy! Slow cooker: Use the Instant Pot just like you would use your crockpot – Set it to cook low and slow for any amount of time that you’d like. Dried beans: Cook them in a flash with no pre-soaking. As handy as it is for all the above, the main reason I bought the Instant Pot was to make Pho. I’ve wanted to try making Pho at home pho-ever. Ahem… However, there was one thing preventing me from trying it – Time. Traditional Vietnamese pho typically simmers away all day, often for 12 hours or more. And first, you have to roast the bones for the broth, toast the spices and char the veggies! With the Instant Pot, pho took me under an hour from start to finish! A key highlight of the Instant Pot, and how it may differ from a slow cooker is that you can saute in it, making it possible to do everything with just one appliance. This pho starts by charring the onion and ginger, letting it get nice and toasted without stirring it, to that we add the spices, let them get fragrant, and then the broth gets started by adding in the chicken and some water, along with a couple other key ingredients that lend that sweet, salty umami flavor – Namely fish sauce, a fuji apple, and a bit of sugar in my version. My version comes from a few recipes that I gathered around the internet – Like this one from Nom Nom Paleo and this one from Epicurious. I liked the blend of spices that the Epicurious version incorporated – ones that I can remember tasting in phos of my past – Corriander, cloves, cinnamon, cardamom and star anise. The Nom Nom Paleo version only calls for coriander and cloves. Tip: Head to the bulk section of your grocery store to shop for the spices – That way you can grab just what you need, a few cardamom pods, a few cloves, etc. – No need to buy the whole bottle, as spices tend to lose their flavor quickly anyway. The Nom Nom Paleo version added a fuji apple into the mix, and I thought that was a great way to add in some additional sweetness and flavor, similar to my Korean Bulgogi Tacos which seasons the meat with a bosc pear. The apple ended up lending a delicate flavor to the pho broth and I’m happy I made that addition. The final question was – How much fish sauce? 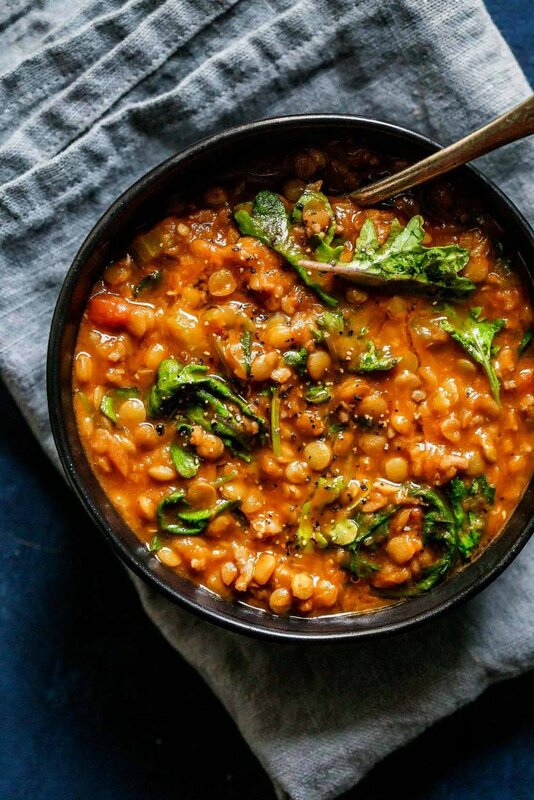 The Epicurious version called for twice as much as the Nom Nom Paleo version… So I started off with just 2 tablespoons… And then I decided it needed more – 3 tablespoons of that potent stuff ended up being just perfect. Soak the noodles in large bowl of warm water for 30-45 minutes. Set aside while you prepare the pho broth. Add the oil to your Instant Pot and select the sautee option. One hot, add onion cutside down, and ginger. Cook, without stirring, for about 4 minutes, until slightly charred. Add cardamom, cinnamon stick, coriander, star anise and cloves and cook for 1 minute longer, until fragrant. Add the water to the pot along with apple, cilantro, chicken, fish sauce, and sugar. Secure the lid. When done, turn off the Instant Pot and let the pressure decrease naturally for 10 minutes. Set a timer and if the pressure hasn’t completely released when it goes off, turn the valve at the top to release any remaining pressure. Remove chicken from the pot and set aside. Strain the broth and season with salt and pepper, to taste. Skim some of the fat from the broth. When the chicken is cool enough to handle, separate the meat from the bones and divide the meat among 4 large soup bowls. (Reserve the bones for making bone broth.) Strain the noodles and divide them among the 4 bowls. 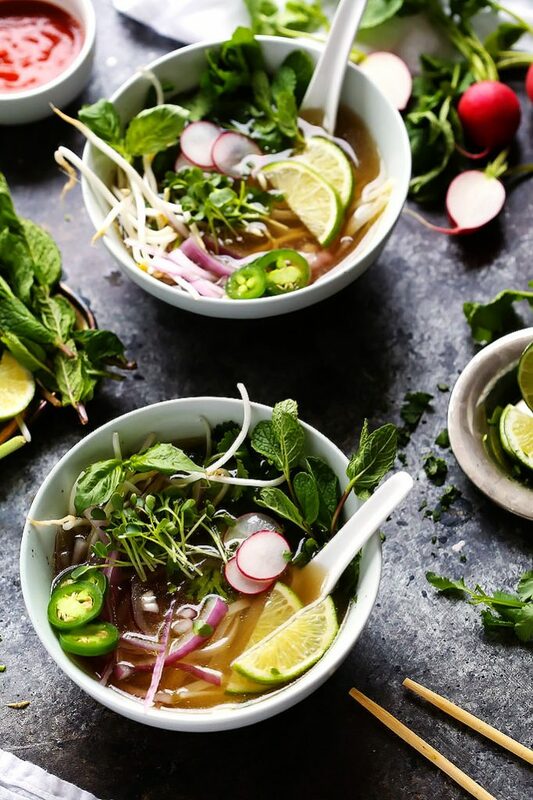 Top each of the bowls with the broth and your desired toppings. 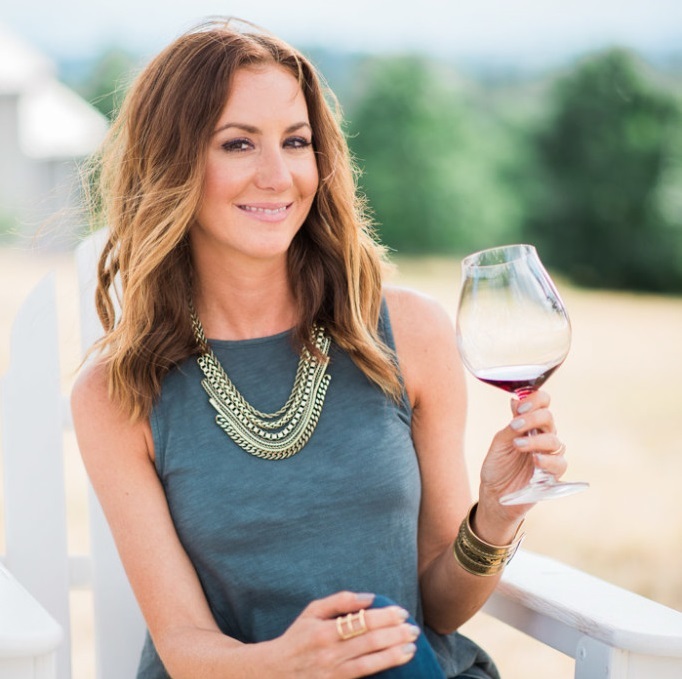 Gewürztraminer and dry-Riesling are both great options because they will compliment the sweetness in the pho while downplaying its spiciness. Try a Sparkling Rosé – The bubbles will play nicely with the rich broth and balance nicely with the fragrant spices. I’ve always preferred ramen to pho, but you are selling me on this hot pot! OMG yum!!! I love your soup recipes! We have been loving our Instant Pot for the same staples and Nom Nom Paleo’s recipes are great! 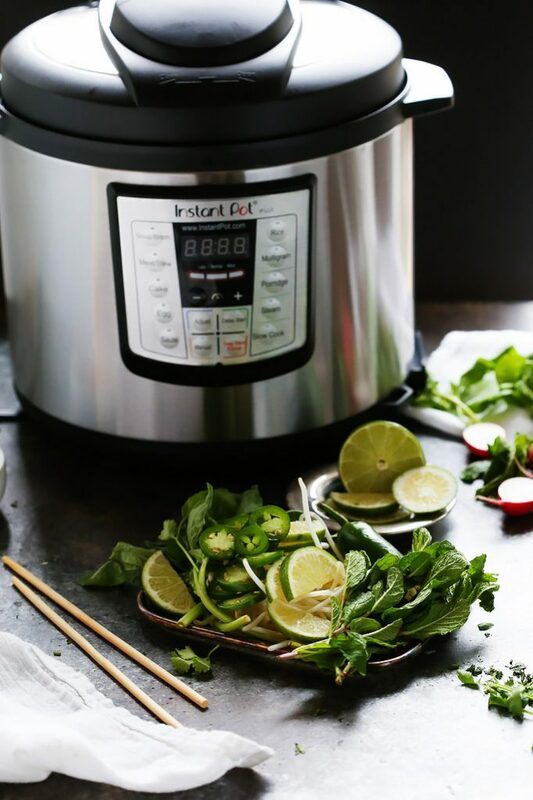 I instantly became obsessed with my Instant Pot – LOVE it! 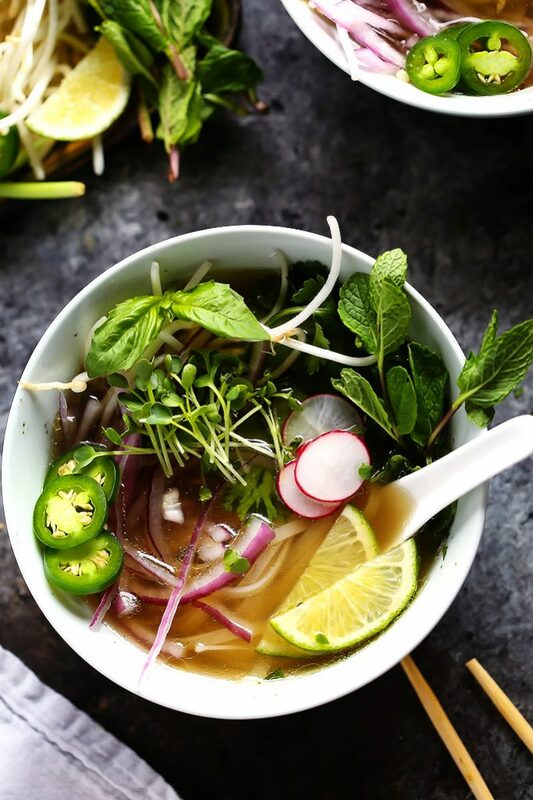 I’m obsessed with Pho, and this looks better than something from a restaurant! I love Pho too – I was so excited to find out that it’s easy to make at home (and quick) with the Instant Pot! I haven’t jumped on the Instant Pot bandwagon yet…I think I’m hoping it will pass, mainly because I don’t have room for one more appliance! 😉 However, recipes like this one look SO good and make me seriously consider getting one! It took me a while to jump on the bandwagon too Marlynn – But now I seriously find myself using the Instant Pot just about every day! I’ve been waiting for this since I saw it on Instagram! You’ve pretty much sold me on the Instant Pot. I make stuff from scratch a lot but I’ve actually avoided pho because it takes so long. I don’t know when I’ll actually get one but I’m on the bandwagon now. I’m obsessed with my IP. This recipe was so easy to make, and very good! I’m so glad you liked it Patti! I love my Instant Pot too!!! 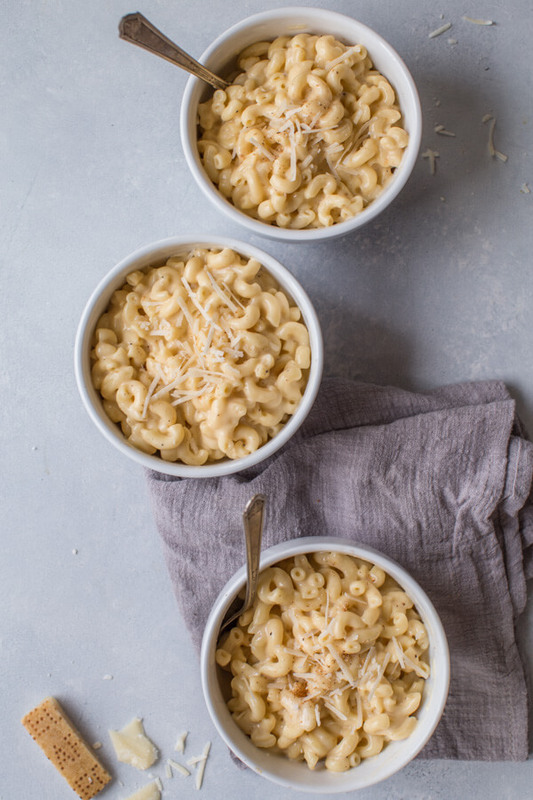 I received an Instant Pot for Christmas and this is the first thing I want to try to make with it! If I have time and wanted to cook it for longer, should I cook it at a low temperature or leave it on high for several hours? 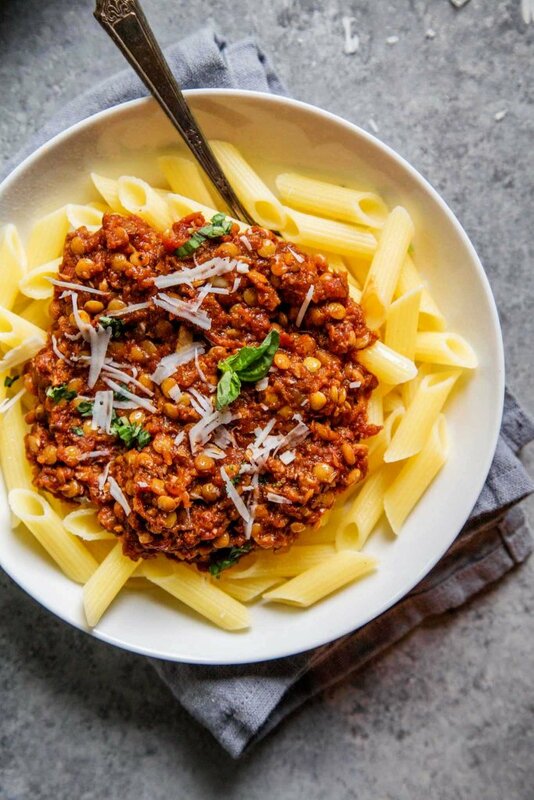 Hi Hannah – You can complete the cooking process as the recipe states, but then you can leave it in your Instant Pot – It will keep it on the “WARM” setting until you’re ready to eat. Hope this helps! Any ideas on how to adapt this for beef? Use oxtail bones. You can get this at the Asian store. That sounds like a great swap Sonya! Hi! I am getting ready to make this for the 2nd time and I’m confused about which rice noodles to use. The first time I bought a package of very thin, straw like noodles and the texture wasn’t right after soaking per instructions. Today I bought something called “stir-fry rice noodles” that are a little thicker and look more like pasta but the instructions say to put them in boiling water and turnoff the heat for 8=10 min. Which are the right ones? Is there a brand you can reference? Thanks!! Hi Molly. Those are the ones! See my link in the recipe. They’ll work perfectly! Cheers and Happy Friday! Have you ever used essential oils instead of spices? I have all those listed (except Anise Star). I don’t have an Instant Pot but being we eat very clean and need no sugar, gluten, etc., I like to control the ingredients more. How many of Instant Pot lovers also have special dietary needs? I made this last night and it’s wonderful! Quick tip: I used a blender (Vitamix) to measure the water and put a mesh strainer over the blender to capture the strained broth later. Then it was easy to pour broth into individual bowls. This is definitely now my go-to pho recipe. Thank you! So glad to hear that you liked it Annie! Love your tip. I had no idea there were so many varieties! I would go with the black pods for the Pho. Follow-up: Went to Penzey’s. We’re lucky enough to have a brick-and-mortar store in Buffalo. They have samples to smell, and the green seemed to smell most like the restaurant pho I’d had. So I’m trying with the green. http://www.penzeys.com No, I don’t work for them but walked out with a haul of spices that my wife swore would cost $100. Total was $34 and change with two freebies thrown in. That’s an amazing deal Dan – I’m a big fan of Penzey’s too – Such a great selection! The black cardamoms are the right kind for pho, not the green pods. I have done research on them after trying the green pods first. Was unable to find cardamom, any substitute? Thank you for sharing your recipe & helpful hints! I just made chicken pho soup for the first time & it was delicious, inexpensive, and very filling! Your hint to buy spices in the bulk aisle was key. Whole Foods had the cardamom, cloves, star anise, etc at pennies compared to what I’d paid in the bottled spice aisle. 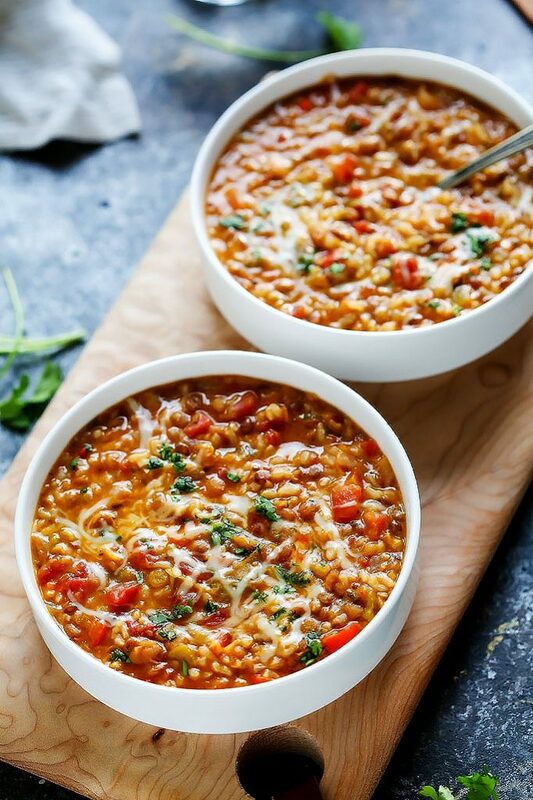 I’m new to the Instant Pot & hadn’t been that impressed with it so far, but your recipe has me a believer! Thanks so much for helping me succeed! I’m so happy I could help Jill! Let me start by saying Pho is my favorite food but I cannot eat it usually because I am allergic to MSG which most restaurants add as a stewing agent. We made this for my birthday tonight and it was easy! This will now be a staple in my house. I recommend adding Kosher salt with the liquid before cooking. After cooking mash the strained ingredients in seive or cheese cloth and squeeze all the juices once cool enough to handle to get all that wonderful spice. Thank you for this recipe! So glad to hear that you liked it Rachel – Happy Birthday! I made this Pho dish and it was amazing! The flavours were perfect. My whole family loved it! Thank you for posting. I will definitely try with beef as well. Thank you for this recipe! I’m so happy to hear that you liked it Sharon! We just got back from Vietnam Nam, so I am hunting for a good Pho recipe! I prefer chicken breast meat to thighs… if I substitute, are there additional seasonings Inshould add? Hi Peggy – I think that you’ll be good without adding any additional seasonings! I’d love to hear back on what you think after you give the recipe a try! HELP? I WANT to love my new I.P. and your Pho recipe sounds amazing – but so far all I’ve made that’s been any good is hard-boiled eggs. I even turned my rice mushy because I mixed it with quinoa and then had to GUESS at the amount of water. I’ve tried sous vide in it – filet mignon – and it over-cooked it. I even over-cooked my artichokes (but finally did them right last night). Do you have any other recipes I can try? I’d like to stay away from beans (my husband already farts too much), and we don’t do a lot of gluten – no lactose or soy. You seem like the person who can help me learn to love my I.P…. Instant Pot chicken breasts a try? They’re delicious and simple! I have made this every week for the last four weeks (since I got my Instant Pot). It’s delicious. And once you have all the spices, it’s quite easy to prepare. My kids love it. Thank you! I’m so happy to hear that you like it Mia! I saw one of your recipe had nutrition ingredients. I know it’s a pain, but if you have the ability to estimate calories, that would be so helpful. Hi Jeannette – I just calculated the nutrition for you and added to the post. I hope that helps! Just got my pot but since I am alone, I got the 3 qt mini. I assume your recipes are for the larger pot? For those of us who have the smaller size, it would be helpful if you gave the total volume of the completed recipes so we would know how much to decrease ingredients for our pots. This recipe sounds so yummy that I can’t wait to try it! Made this tonight and it was DELICIOUS! Used chicken breast instead of thighs because that’s what we had and it still turned out great. Definitely saving this recipe. I’m so happy you liked it Jennifer! This looks delicious!!! I love Chicken Pho! Could this be made on the stove if I don’t have an instant pot yet? I’m so happy you both liked it! I made this for the first time last night and it was AMAZING! We also added a quick pickled cucumber and shallot topping. I have yet to taste a pho this good outside of a Vietnamese restaurant. I’m telling all my IP-owning friends about this. Can’t wait to make it again. Thank you! I’m so happy to hear that Molly – Thanks! Hi Erin! Trying your recipe out for the first time, and just wanted to know if you use both halves of the halved onion or just one? Hi Breanna – I use both halves of the onion. This is almost exactly the recipe from the Instant Pot Cookbook by Laurel Randolph. We made it for the first time tonight and it was pretty good, but we are going to change it up a bit for next time and add some heat. But it was a nice fresh tasting healthy soup!